Being versatile and achieving success in different roles is something not many can accomplish. 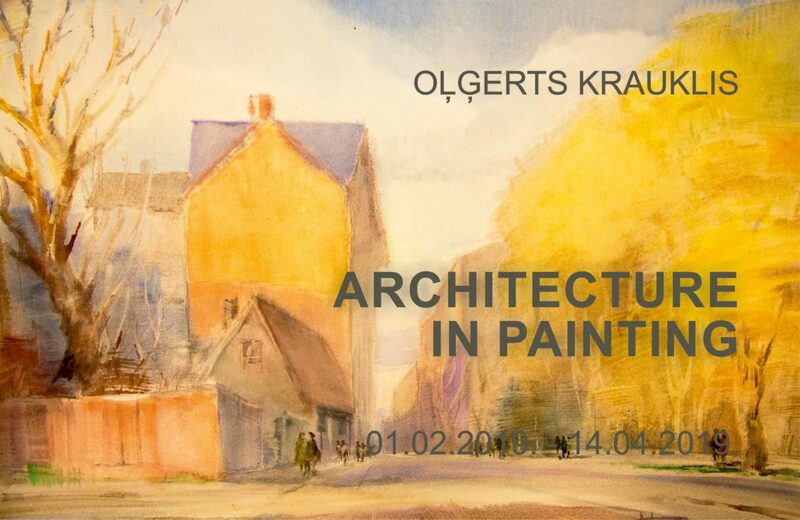 Architect and painter Oļģerts Krauklis is among the few who stand out. Perhaps due to having been blessed with extra talents and gifts that have helped him achieve many things, maintain a broad and open worldview in the most diverse spheres of activity, retain a sense of humour, remember a wealth of events and facts and be able to reshape the strands of these experiences into unique urban and rural landscapes that delight the eye with astonishing precision of aerial and linear perspectives. In this exhibition, it was a conscious choice of the curators to focus on landscape dominated by architecture, underscoring the artist’s architectural worldview. Beyond doubt, Krauklis is no stranger to still life or portrait, which can be seen in his other exhibition projects. In Daugavpils, the artist is clearly better known as an architect, because he is the author of the former cinema “October” whose sculpted facade still addresses us from the corner of Vienības and Kandavas Street. With this exhibition, we demonstrate a different edge to the artist-architect’s creative life and, with that, gain a different perspective on Latvian watercolour painting. Oļģerts Krauklis was born in 1931 to stage artist Alma Ābele and actor Nikolajs Krauklis. Krauklis currently resides with his spouse, artist Māra Rikmane, in the so-called “Raven’s Nest” – a house with a studio of the architect’s own design on 94 Valdemāra Street.